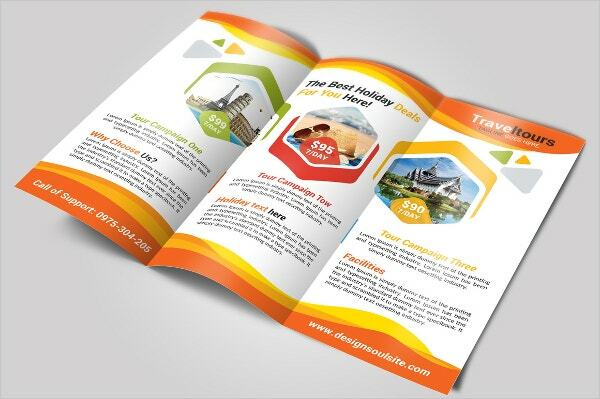 Brochures are a significant tool for promoting a business. 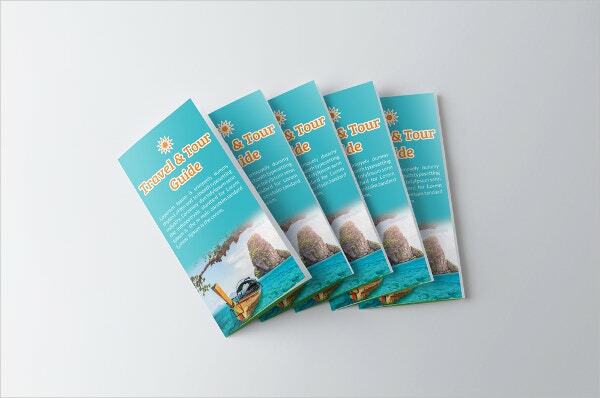 Travel brochures are used by subjects related to tourism, vacation or travel agencies for promoting any tourist destination. The creativity and the information displayed in the brochure are crucial for making a good tourism brochure and attracting people towards the target destination. 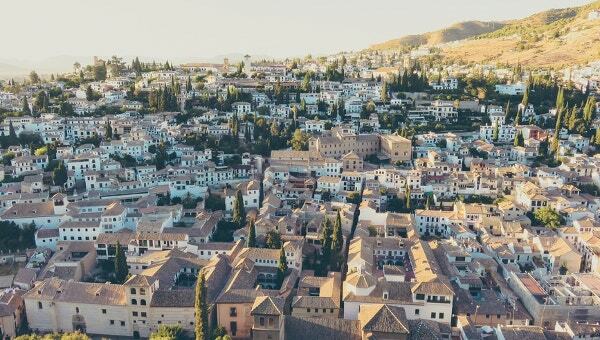 A travel brochure should be exciting and alluring to the audience. It should contain all the good aspects and specialties of the destination to kindle excitement in people. You can also see Fast Food Brochure. 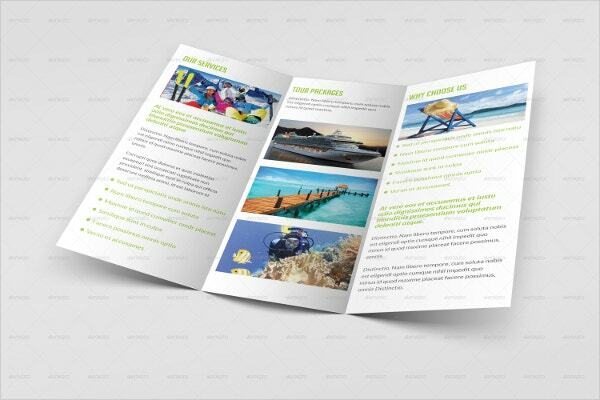 This brochure is ideal for hotels, travel agencies and tourism business. This is a ready to print file with 300dpi resolutions. The brochure is 11x 8.5 inch in size with .25 inch bleeds. You can also see Chocolate Brochure. 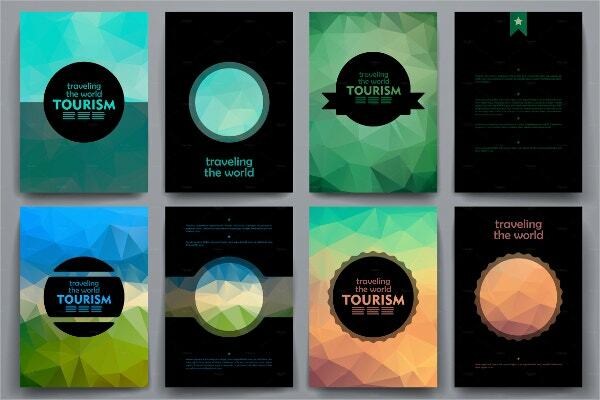 This is set of poligonal style tourism brochures. This vector file is saved as ES10. This brochure uses adobe illustration program and has fully editable text, colors and images. You can also see Wine Brochure. 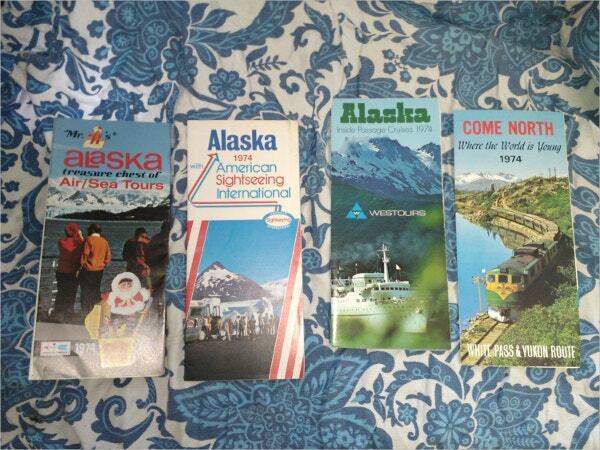 These are vintage brochures to promote Alaska tourism. These are tri fold brochures that give the essence of 1970’s. This item is great for the people who love the 1970’s. You can also see Environmental Brochure. This is a 16-page clean holiday catalog. The brochure is available in A4 size and is print ready. The text and images are layered and easy to edit. The color mode used is CMYK with 300dpi resolution. This is a trifold tour travel guide brochure. It is 210×297 inch in size with 0.25 bleed. This brochure is available in CMYK color mode with 300 dpi resolution and in print ready format. 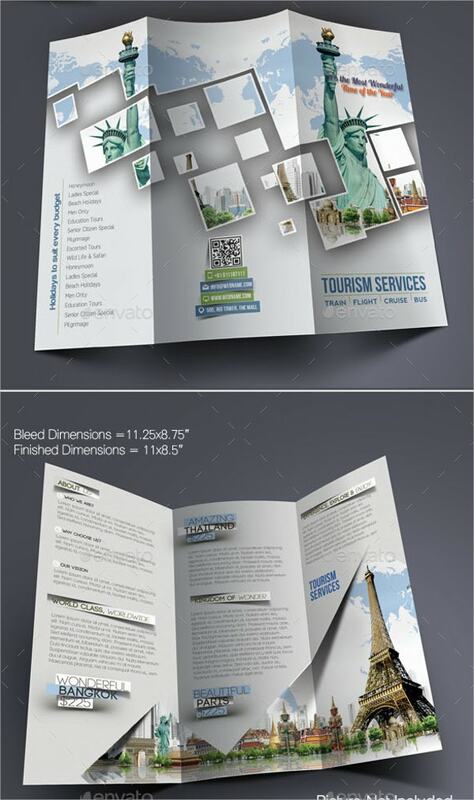 This trifold brochure template is of 8×11 inch and is available in 300dpi resolution and CMYK color mode. This is a 2 layered PSD file which can be edited in photoshop. 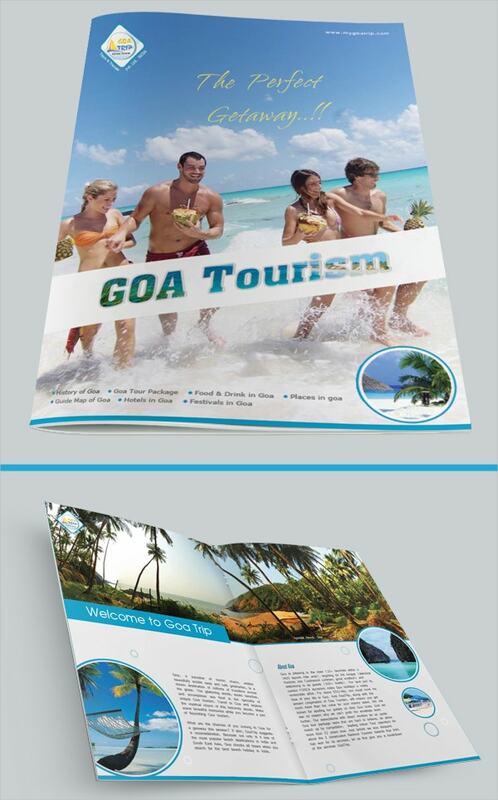 This brochure design is to promote Goa tourism. This two-fold brochure design is available in high resolution with CMYK color mode. The images, color and text used can be easily changed as per the requirement. These are two-fold elegant design tourism brochures. These brochures illustrate the best places in the world for some particular activities, for example, the best fishing spot in the world, the best sailing point, etc. This tri-fold brochure is made up of fully layered PSD files. The brochure has 300dpi resolutions with CMYK color format. 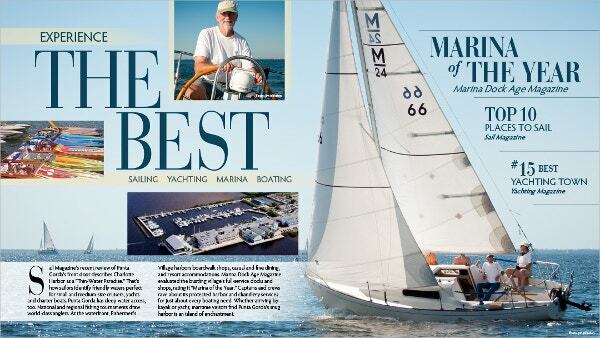 The brochure is easily customizable and editable and is available in print-ready format. This trifold brochure is available in 8.5×11 inch print dimensions. 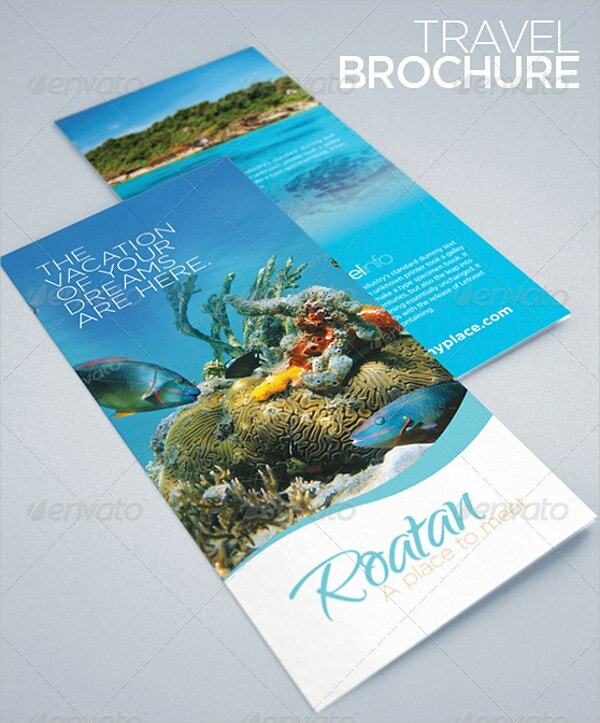 The brochure has layered PSD files, 300dpi resolution and CMYK color mode. This tourist brochure is excellent for tourism agencies, accommodation and travel businesses. You can also see Travel Brochure. These travel or holiday brochures are excellent for small or big tourism business. 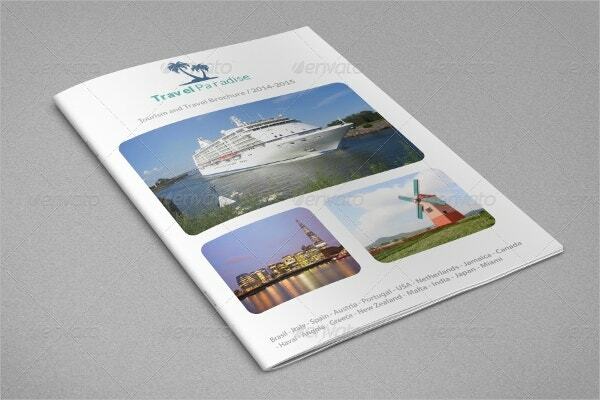 The travel brochure design should be exciting and alluring to the customers. 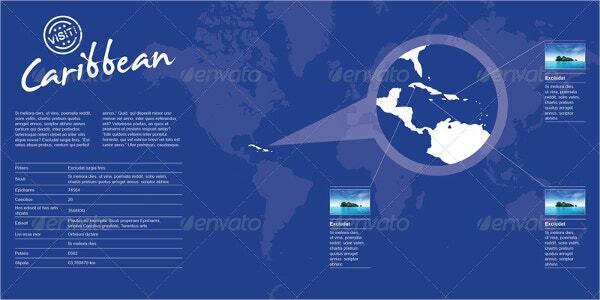 Travel brochure should be constructed with great care, with no irrelevant data. These brochures can be proved lucrative for a travel business and should be designed to attract a large audience.